This delightful and unique activity book will inspire kids to get crafty—without the mess! 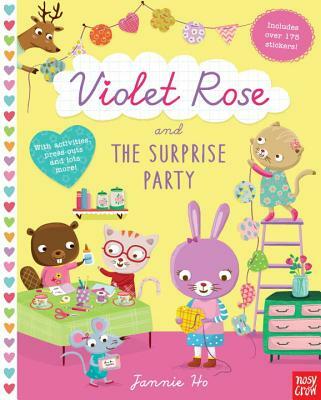 When Violet Rose and her friends realize that their friend Lily has a birthday coming up, they decide to throw her a surprise party. With stickers, press-out cards, and activities on every page, readers can help with all the preparation—from making and delivering invitations to decorating Lily’s birthday cake. This delightful and unique activity book will inspire kids to get crafty—without the mess!